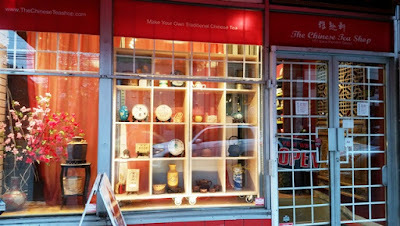 The Chinese Tea Shop opened in Vancouver's Chinatown in 2004 under the name Arts De Chine (Arts of China). 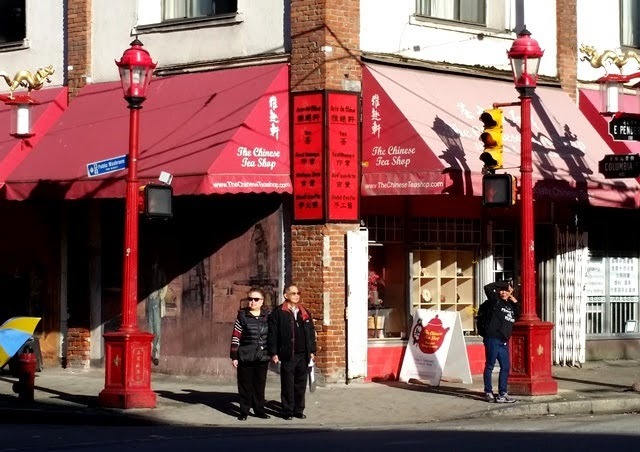 To better reflect owner Daniel Lui's focus on tea, the shop interior was reconfigured and the name changed to The Chinese Tea Shop in 2009. The tea shop is located prominently on the corner of East Pender and Columbia Street, less than one block away from the Dr. Sun Yat-Sen Classical Chinese Garden. My previous visit to The Chinese Tea Shop was in 2012 and a return visit to Vancouver and to the tea shop had been long overdue. 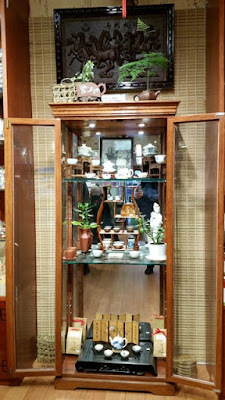 While attending the Vancouver Tea Festival last November, I was able to visit the Chinese Tea Shop booth where Daniel was preparing tea throughout the weekend and to break away for a visit the tea shop itself where Jennifer Lui was our gracious host. 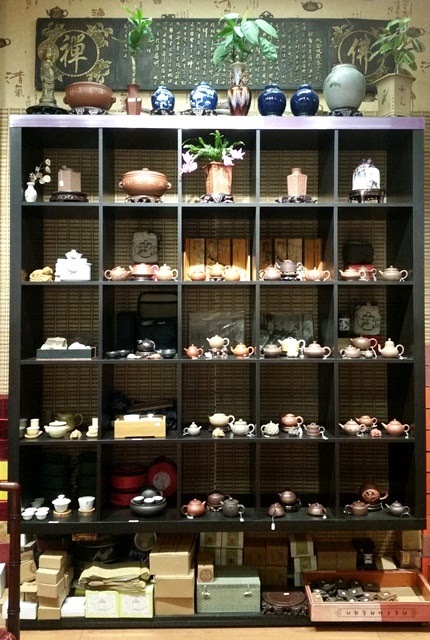 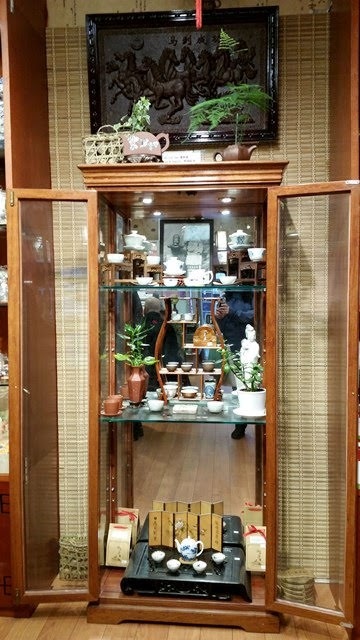 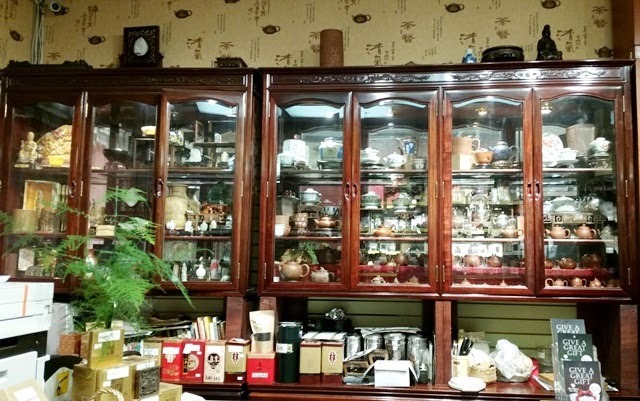 As the name suggests, the Chinese Tea Shop offers an impressive range of Chinese teas including green, white, yellow, oolong, black, puerh, and heicha. 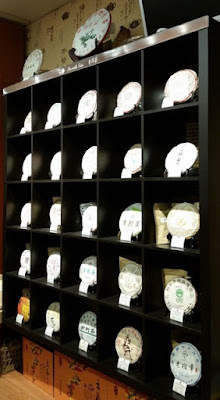 Their selection of aged teas including, but not exclusive to puerh, is especially intriguing. The teaware selections are no less impressive and include Yixing, glass, and porcelain teapots as well as gaiwan, tea cups, and more.